The title of this event says it all – last night the design community showed their support by the hundreds or should I say thousands ($$)…. The Silent Auction Guide was 8-pages thick, filled with generous contributions from top-notch manufacturers including Alessi, Calvin Klein Home, Gracie, and Moroso to name a few. Guests were ready with checkbooks in hand to support this worthy cause (all proceeds will be given to Furnish a Future, a Partnership for the Homeless Program). When the bidding was over, the excitement and joy on the winners’ faces was simply priceless. 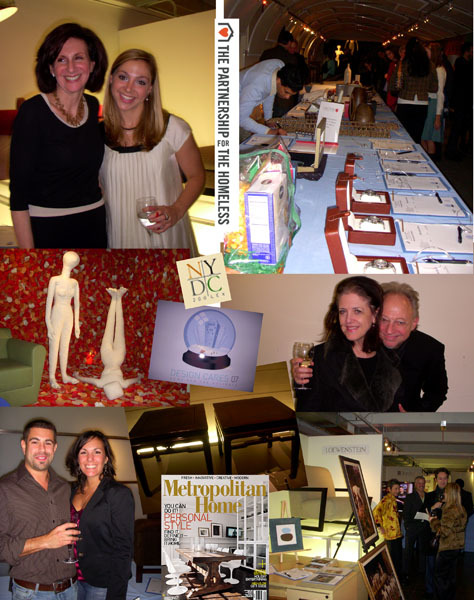 This marked the 6th year of the event, it was originally started by Metropolitan Home and the New York Design Center as a passionate response to those who suffered losses on September 11, and has been an overwhelming success since it began. Great friends, great fun, great design – all to benefit a great cause.